Amaretto is Italian for "little bitter," which doesn't quite do justice to the flavor of this sweet, almond-flavored liqueur loved by cocktail enthusiasts and home cooks alike. For many home cooks, amaretto is the perfect finishing touch to delicious desserts from a scoop of ice cream to Italian favorites like tiramisu. But amaretto is not limited to the sweet end of the spectrum. In fact, some of the best uses of the sweet liqueur we've seen are in savory dishes like chicken entrées or even as an addition to almondine sauces used for savory vegetable sides. Over time, certain amaretto combinations have taken hold in home kitchens around the world from amaretto and chocolate to amaretto and almond. Another of the classic flavor combinations is cranberry and amaretto. 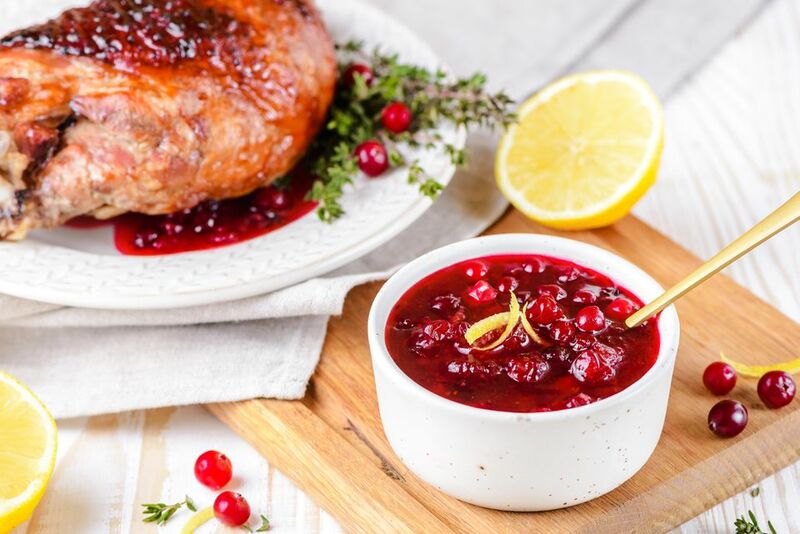 In this cranberries amaretto recipe, simmered cranberries make for a chunky tart and sweet sauce with amaretto and a hint of citrus from lemon zest and orange marmalade. This sauce is the perfect addition to pork or turkey. It might even win a place at your Thanksgiving table! Add cranberries, sugar, and lemon juice; stir well to combine. Bring mixture to a boil. Reduce heat, and simmer uncovered for 10 to 15 minutes or until cranberries begin to pop. Remove from heat. Stir in amaretto, marmalade, and lemon rind. Serve and enjoy with your Thanksgiving turkey!